How can Microsoft Dynamics enable valuable insight to your business? 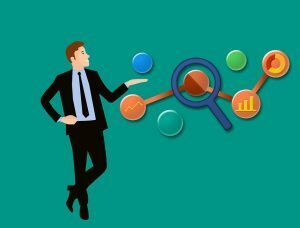 All organizations, no matter their size, need to understand what’s going on with their business data in order to get an accurate picture of how the company is performing. The reporting features you get from Microsoft Dynamics aren’t just for large enterprises – they are tools that allow employees of any size business to connect with each other and to the information they need to be the most effective at their jobs. Reporting tools like Solver’s BI360 or Jet Reports allow users to craft financial reports in Excel — either running the reports in desktop Excel, on the web or even via mobile app. While mobile and web options give you easier access to your data, it doesn’t necessarily mean that all web-based ERP reporting products are easy-to-use. Ease of use should be one of your principal considerations when selecting cloud based reporting tools. If your business end-users can’t easily learn to use and leverage the power of the software, it’s not a viable long-term solution. As the use of mobile devices continues to overtake that of traditional desktops, it’s not surprising that companies are demanding access to business data on tablets and smartphones. The ability to design and build reports via mobile, as most reporting apps allow you to view reports and drill down abilities into your Dynamics GP data. Some mobile apps are already available (such as Microsoft Business Analyzer for Android devices) that come pre-configured to provide business insights and a user experience that can be personalized to fit your company’s needs. Even small to midsize businesses need flexible enterprise-wide planning, budgeting, and reporting that works smoothly with its financial systems, fits specific business or industry needs, and is easy for employees to use and share. Whether using SQL Reporting services (SSRS), Power BI or an Excel Add-on program, Microsoft Dynamics GP and Microsoft Dynamics SL provides powerful, reliable data collection and easy-to-use analysis and reporting functionality, as well as built-in consolidation, elimination, and multicurrency capabilities. Accountnet works with clients to assist with the planning, integration, training and ongoing support for their Microsoft Dynamics systems and can help you figure out which reporting tools are best for your unique situation. Contact us today to get started. @ 212-Dynamics.